This scene is to the northwest of the recently named crater Magritte, in Mercury's south. The image is not map projected; the larger crater actually sits to the north of the two smaller ones. 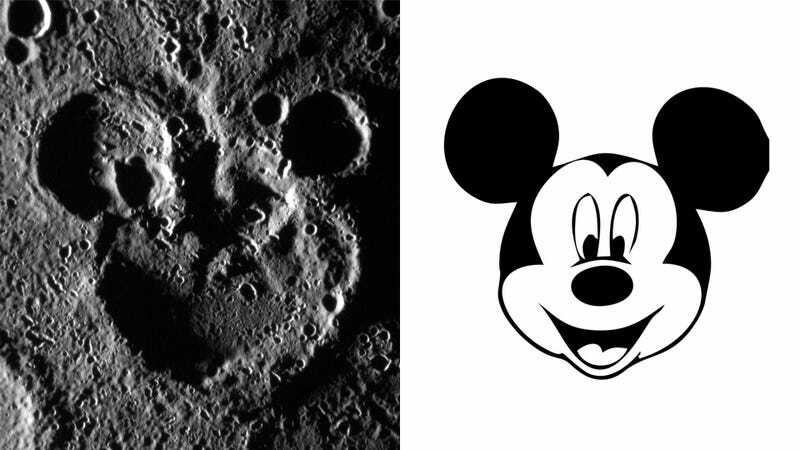 The shadowing helps define the striking "Mickey Mouse" resemblance, created by the accumulation of craters over Mercury's long geologic history. I love these space optical effects, but being a Warner Bros' fan, I would rather have a Daffy Duck crater. Or even better: Duck Dodgers.